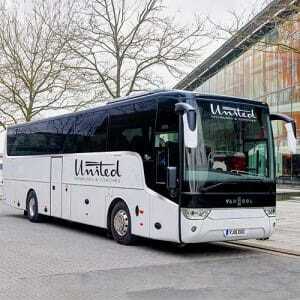 Looking For Coach Hire in Horsham? 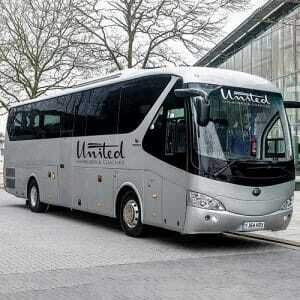 Have you been searching for affordable coach hire in Horsham? 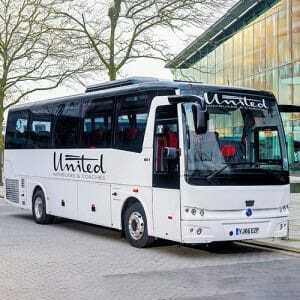 If so, you need look no further – United Minibuses and Coaches offers some of the best minibus hire in Horshamhas to offer. Whether you’re travelling to the airport to catch a flight, visiting a local attraction as a group or getting guests to your wedding celebration, we’re proud to offer you an outstanding level of service within the local Horsham area. We’re proud to be one of the most competitively priced and reliable services Horsham has to offer. 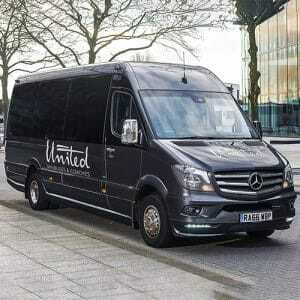 Whether you need a minibus for a short journeyto save you the stress of driving and parking yourself or whether you’re travelling a little further afield as a large party, United Minibuses and Coaches should be your number one choice within the Horsham area. Unlike many of our competitors, we run a fleet of modern vehicles which offer the latest in luxury transportation. Whether you’re looking for a smaller vehicle such as 20 seat minibus hire with a driveror whether you need a larger 57 seater coach, we can accommodate your every need. Every one of our vehicles offers the most comfortable travel experience. You’ll be entertained by our on-board CD and DVD players and you’ll experience complete comfort thanks to reclining seats and climate control. Our CCTV and seatbelts also give you confidence in your trip. 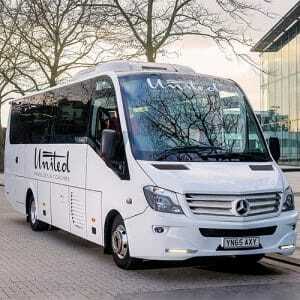 Whether you are travelling within Horsham or going further afield for a day or night out, United Minibuses and Coaches offers you the highest possible level of service. Our 20 seat minibus hire with a driveris the ultimate choice for your hen night or workplace party so that nobody has to be the designated driver, while our larger coaches are perfect guest transportation for your wedding party. We can even take you to Gatwick Airport for your holiday flight so you can enjoy a relaxing start to your perfect holiday. Our minibuses are incredibly comfortable with leather seats, arm rests and reading lights as well as CCTV and seatbelts. We even offer all modern conveniences such as USB connectivity, refrigerators and flat screen monitors so you’ll enjoy the best possible trip. Whether you’re local to Horsham or whether you’re visiting the local area on holiday, Coaches will be your first choice of coach and minibus hire to explore the local area. With so many excellent attractions to discover, you’ll be spoiled for choice. Go Ape– head to this fantastic outdoor attraction to experience the thrill of the high ropes. You’ll discover a whole new world of excitement in the trees at Go Ape Crawley. Chesworth Farm– the children will love a day out at Chesworth Farm, discovering the friendly rare breed animals and exploring the beautiful countryside. Southwater Watersports Centre– if you’re feeling sporting or need to cool off during the summer months, this watersports centre is the ideal place to get out on the water. With paddleboarding, canoeing and kayaking for all the family, it’s a fun-filled active day out. Wings Museum– find out more about aviation’s fascinating World War II history. Experience life as a paratrooper and walk into a Douglas C-47 Dakota’s fuselage for a unique family friendly day out. Discover Horsham and the surrounding area with minibus or coach hire from United Minibuses and Coaches. Hire a luxury vehicle today and enjoy stress-free travel for you, your friends and family. Call us now and learn more about our coach hire in Horsham.